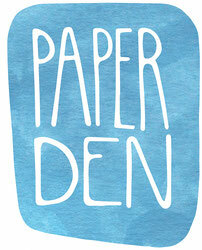 Portfolio - De website van paper-den! All of the illustrations I make are made by hand. I only use the computer to scan the drawings in preparation for printing on postcards and posters. I love to work with a variety of materials and techniques but do have a few favourites! In addition to what you can see below, I also like to make my own stamps and am learning about pattern making. Follow me on Instagram or Facebook to see more of my work and some behind the scenes images. If you are interested in a custom illustration do not hesitate to contact me to discuss your wishes.